These steel buttresses are supporting the front facade of the Gallina Building. The buttresses were added in the 1980s, as a temporary part of planned restoration; however, the plans fell through, and the buttresses remain. 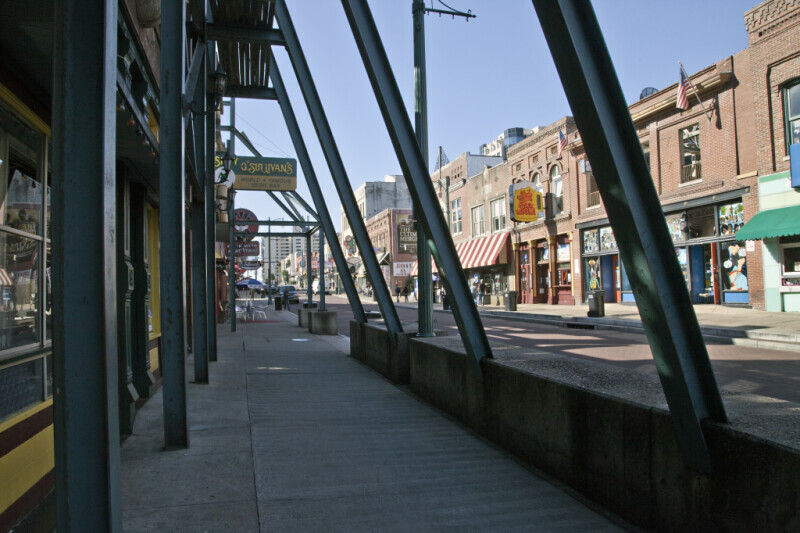 Only the front facade of the Gallina Building is intact, but the building is part of the Beale Street Historic District.